When your furnace needs replacing you want to choose a new furnace that best suits your home. There are many varieties of high efficiency furnaces on the market today, so that choice can be somewhat confusing. 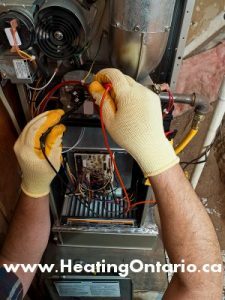 The experts at Heating Ontario have been performing furnace installations in Scarborough for over 10 years, and have the knowledge and experience to help you choose the furnace that is right for your home. With utility bills getting more costly every year, you want to choose a furnace that will not only keep you warm, but save you money. Heating Ontario furnace contractors recommend several different brands and types of furnaces depending on the features you are looking for. The most common type of furnace in use today is a high efficiency forced-air gas furnace, from which you can choose various models that will heat your home adequately and efficiently. Heating Ontario Scarborough heating contractors will recommend the correct model based on the size of your home, with EnergyStar ratings up to 97. You can even choose to attach a furnace humidifier to not only keep your home warm, but to maintain adequate humidity levels during the coldest, driest days of winter. Our heating service in Scarborough will not only keep you warm, it will also keep costs in line. Let the dependable team at Heating Ontario help you choose the best furnace for your Scarborough home. Fill out the form below and one of our friendly reps will be in touch shortly.